There's no better way to learn about butterflies than to rear them at home! There are many kits to choose from, which can be a bit overwhelming. You might first want to read our Live Butterfly Kit Buying Guide for detailed information about the kits and tips on how to get the most out of them. Below you'll see the options currently available. 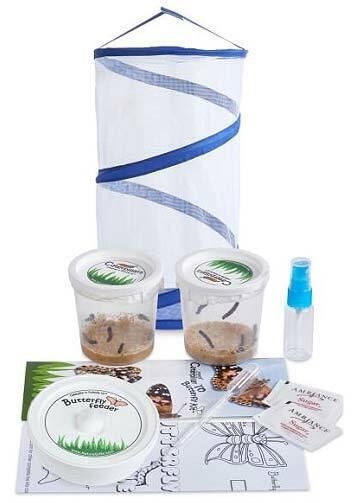 These kits include vouchers that you mail in to receive your caterpillars. 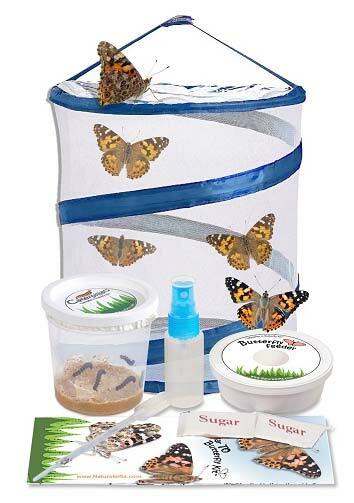 Insect Lore Kits charge between $5-$7.95 to redeem the voucher (as of April 2019). Nature Gift Store does not charge a fee to redeem your voucher. All prices listed below from Nature Gift Store are as of April 2, 2019 and may change. These kits include the actual caterpillars with the shipment of the kit. Do not order these kits if it's below 40°F or above 85°F in your area or the caterpillars could die in transport. All prices listed below from Nature Gift Store are as of April 2, 2019 and may change. 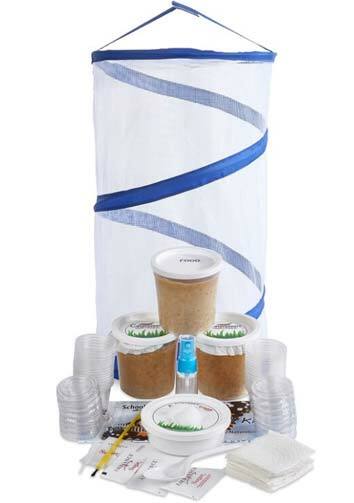 These kits are meant for classrooms, as they include at least 30 caterpillars. Nature Gift store can ship with either the actual live caterpillars or with a voucher. Insect Lore only ships with live caterpillars. Price listed below from Nature Gift Store is as of April 2, 2019 and may change. Both companies offer purchases of just the caterpillars (shipped upon order). You can buy 5, 10 or 30-33.